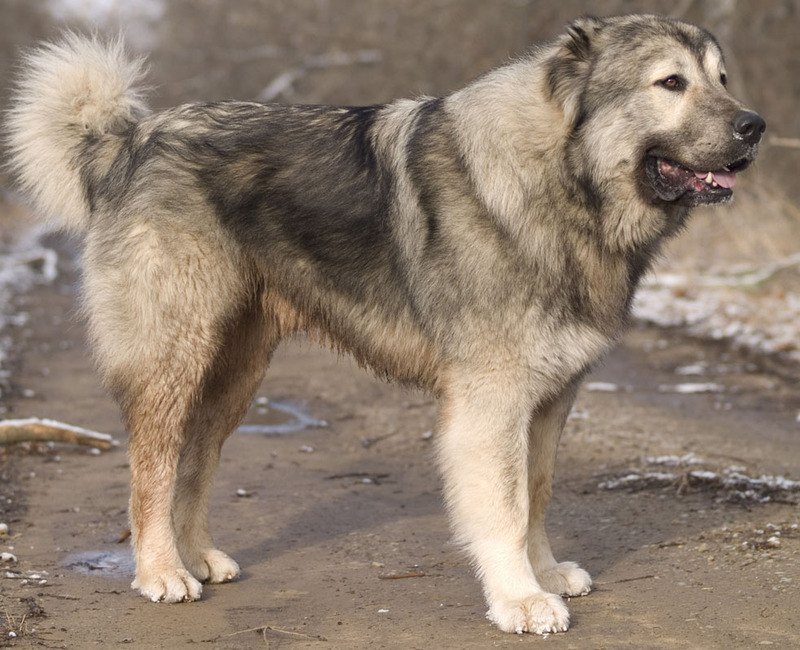 TIBET is from Perm, Russia. 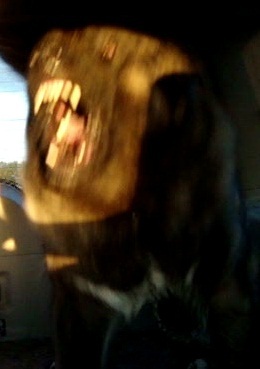 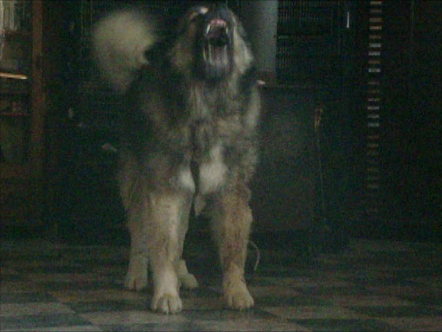 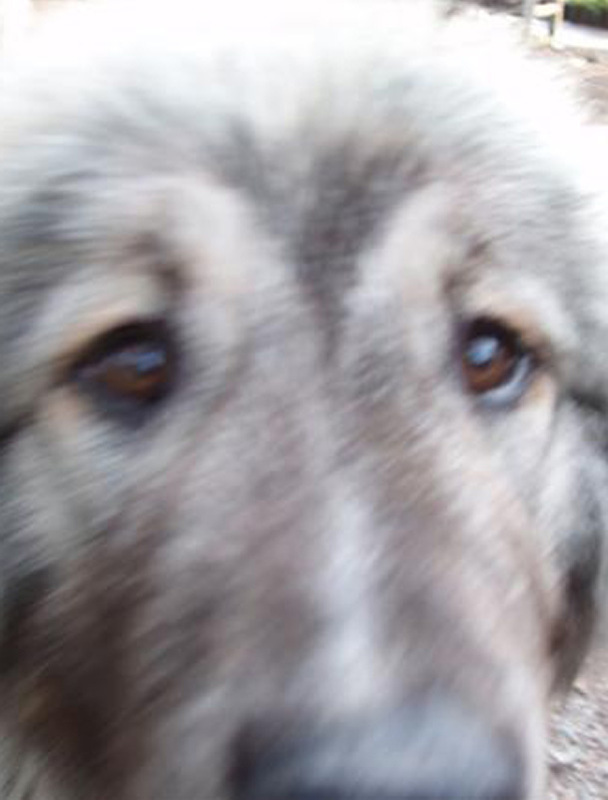 In 2006 we sent a courier to transport him as there is no cargo for dogs available from deep inside Russia. 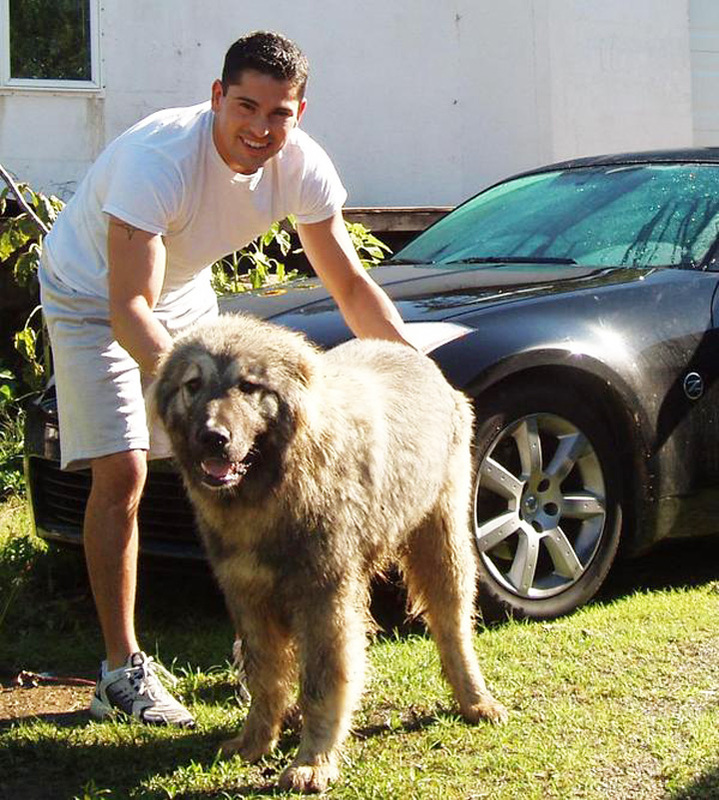 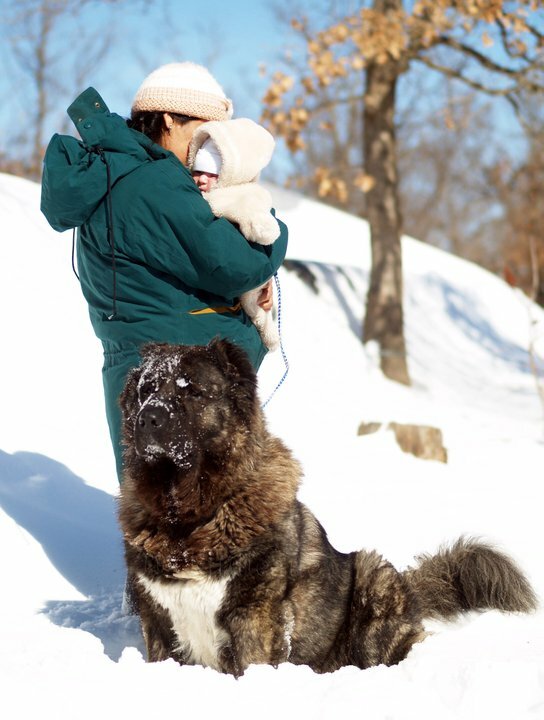 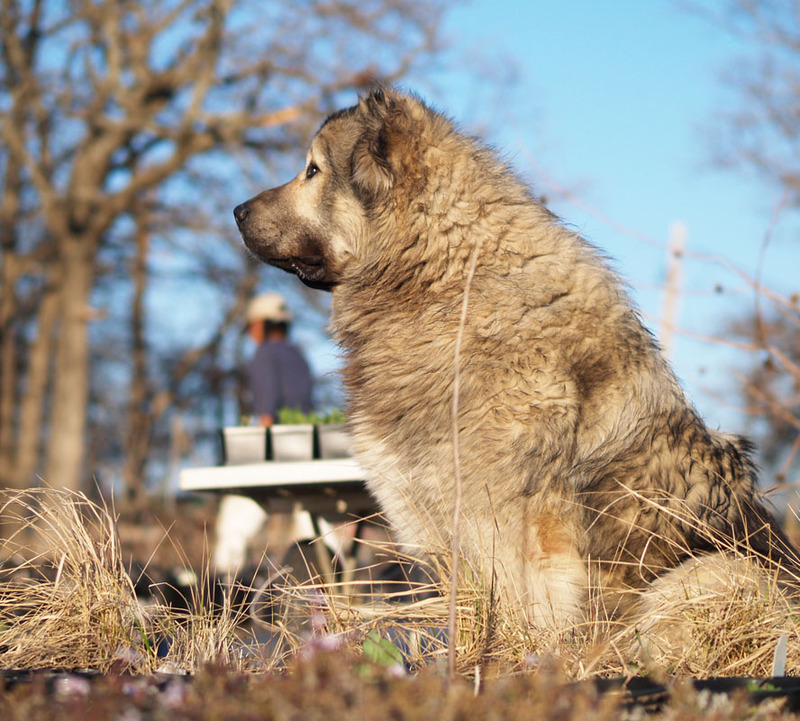 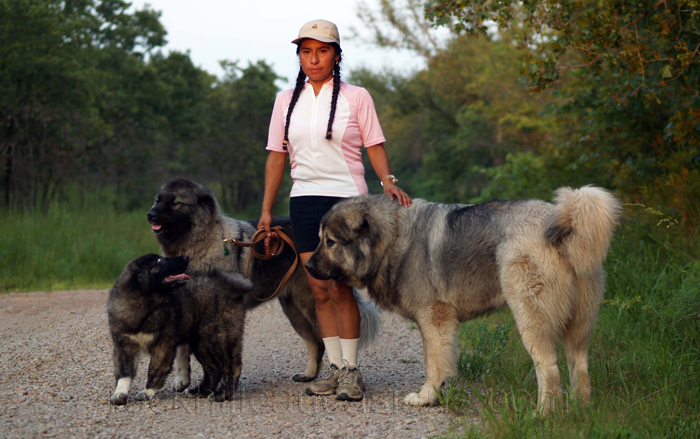 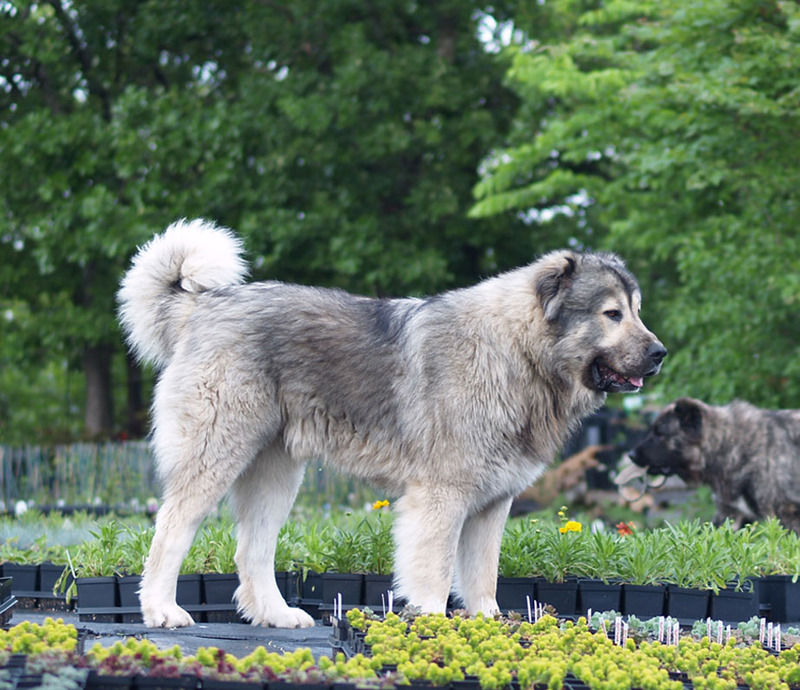 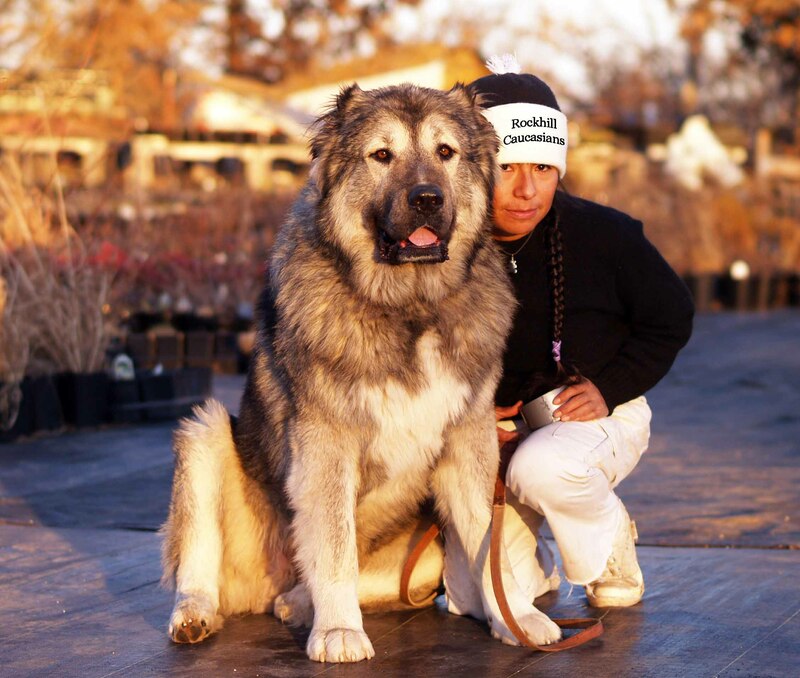 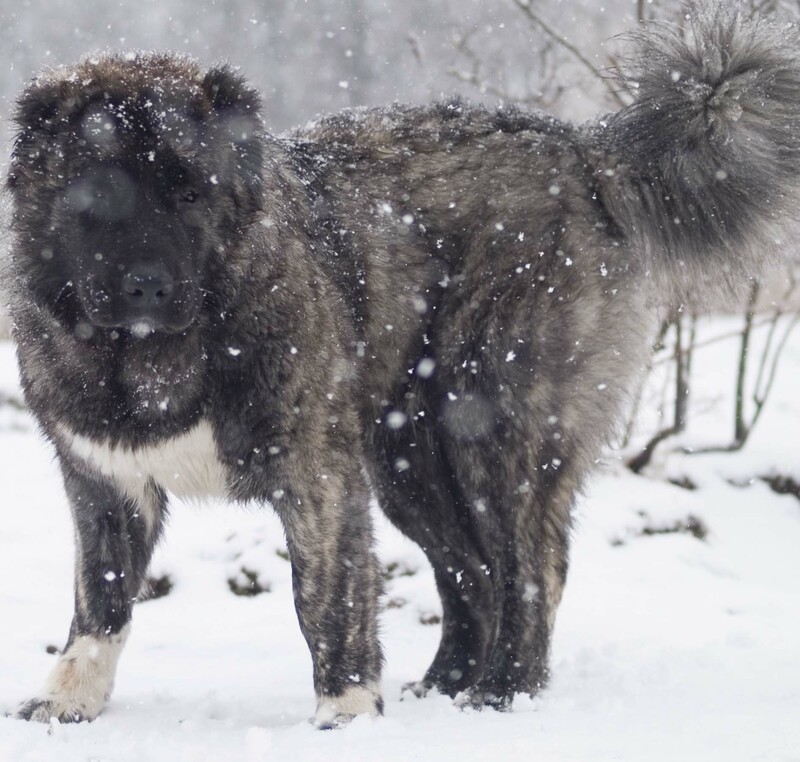 TIBET descends from famous bear-like dogs of Capital of Siberia Kennel located in Novosibirsk, Russia. 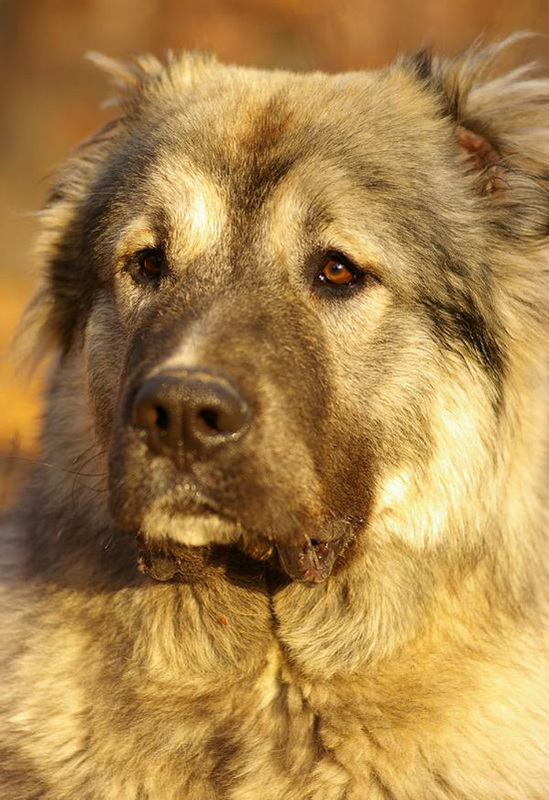 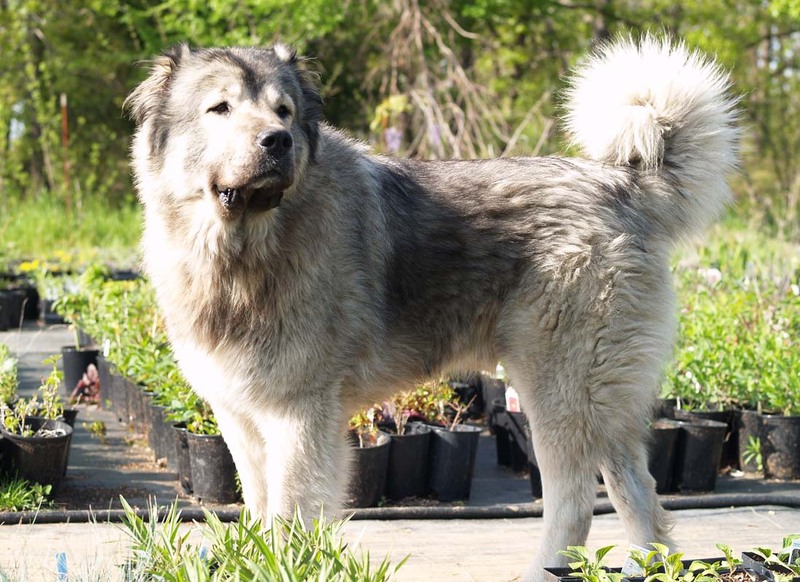 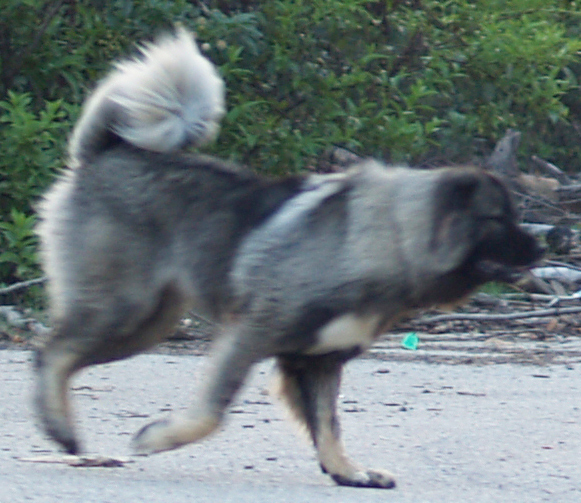 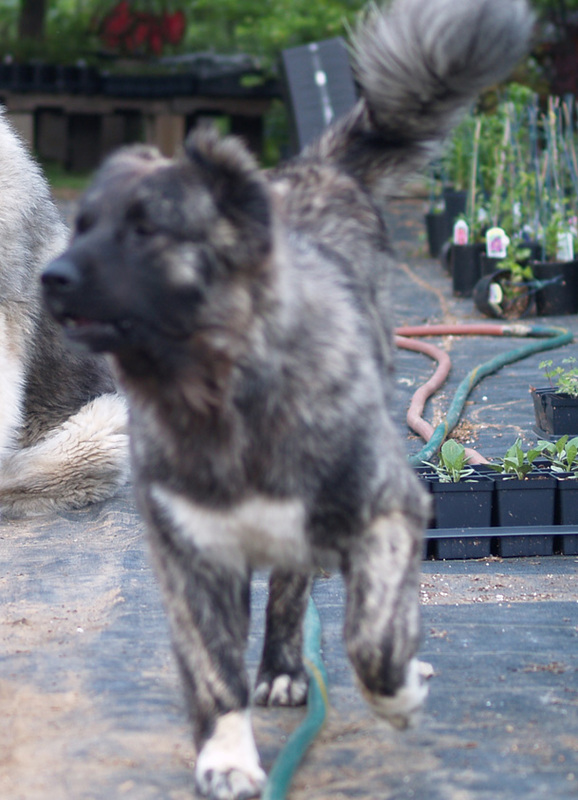 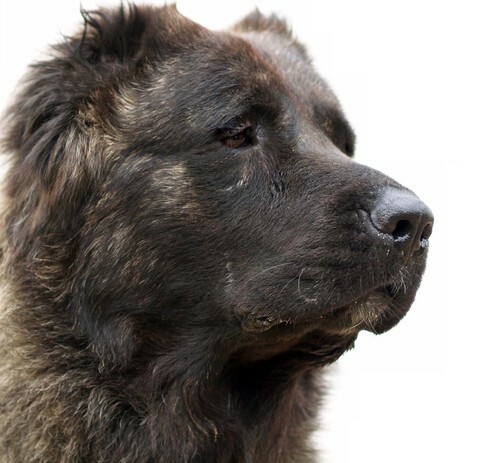 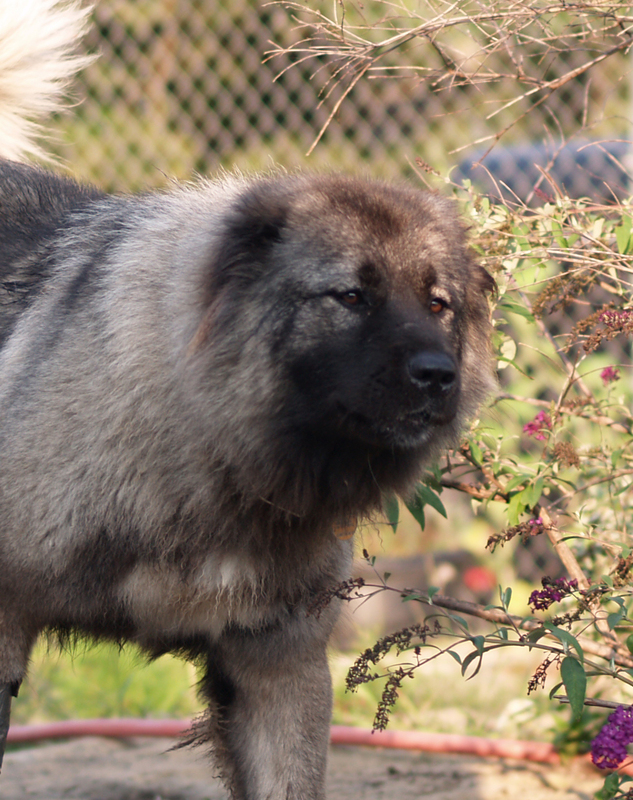 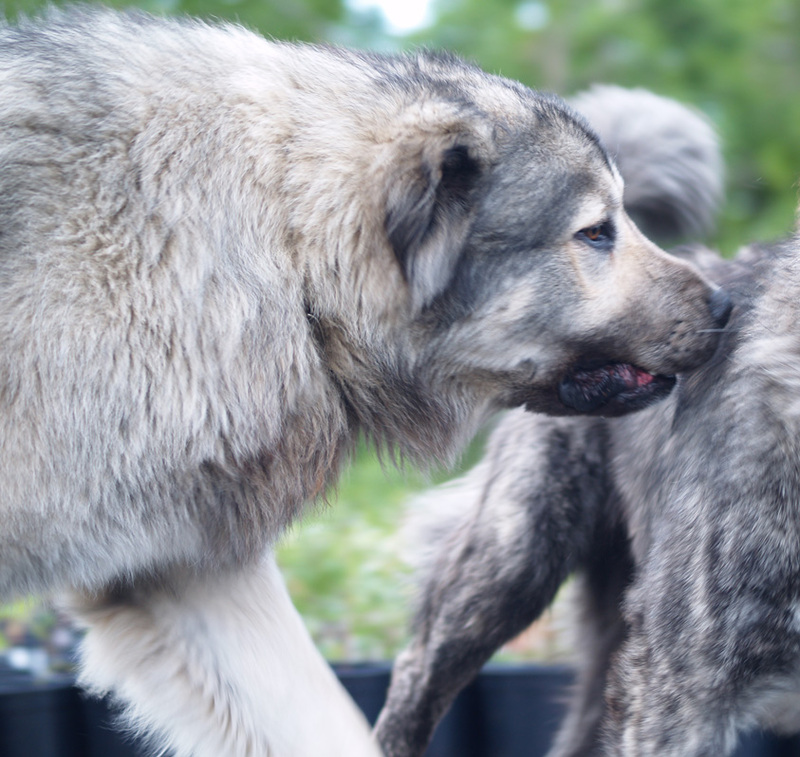 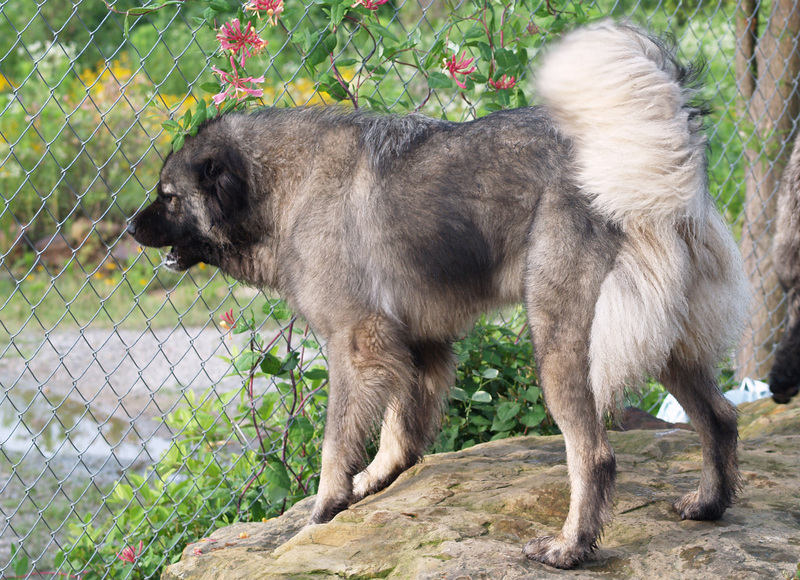 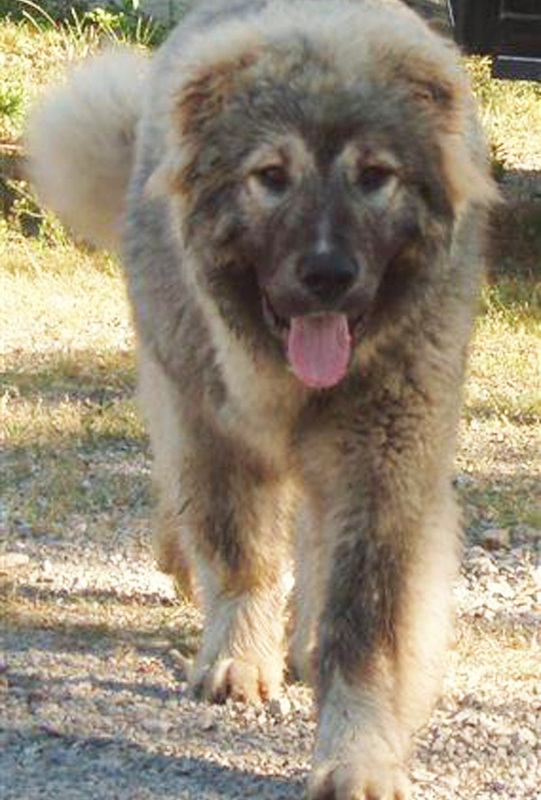 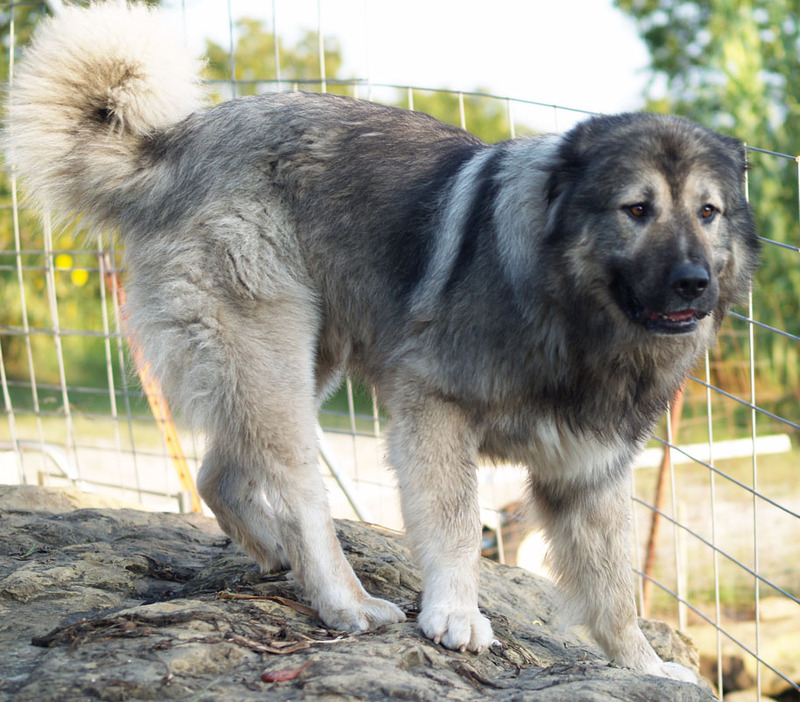 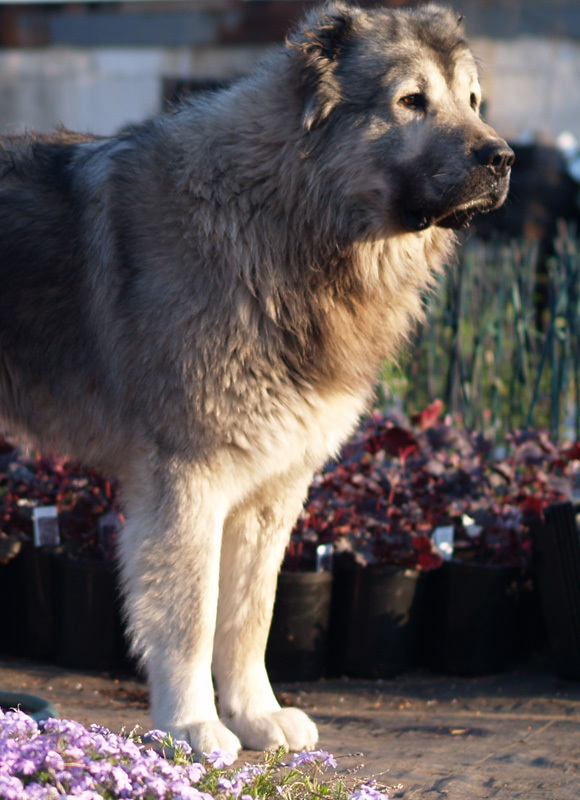 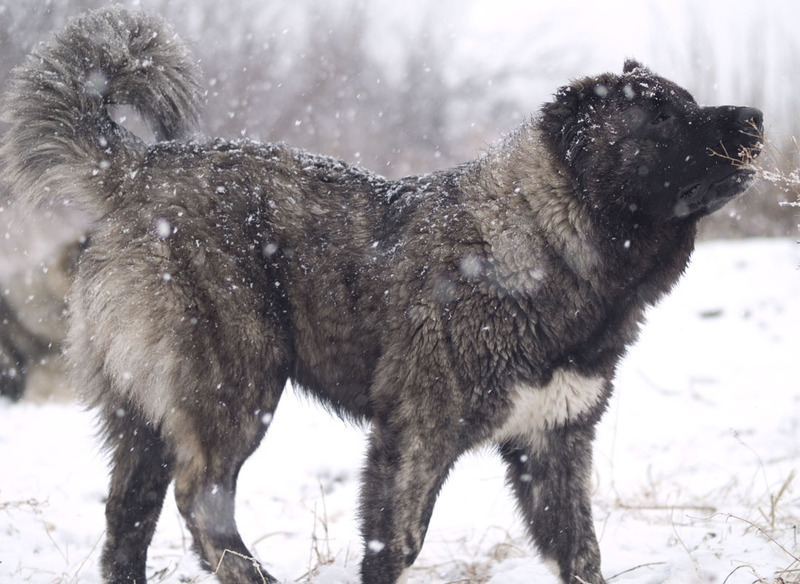 Tibet is one of the best Caucasian Ovcharka stud dogs of genuine bear type in the world today. 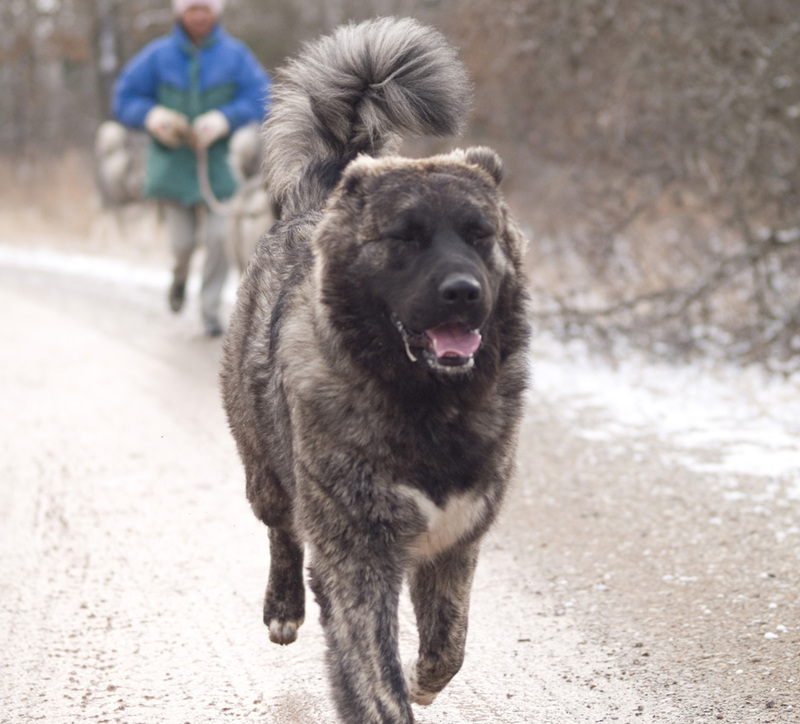 Weighing around 175lbs and at 33.5 inches at the withers, massive bone structure and huge head, athletic Tibet stays fit through structured exercise and healthy living. 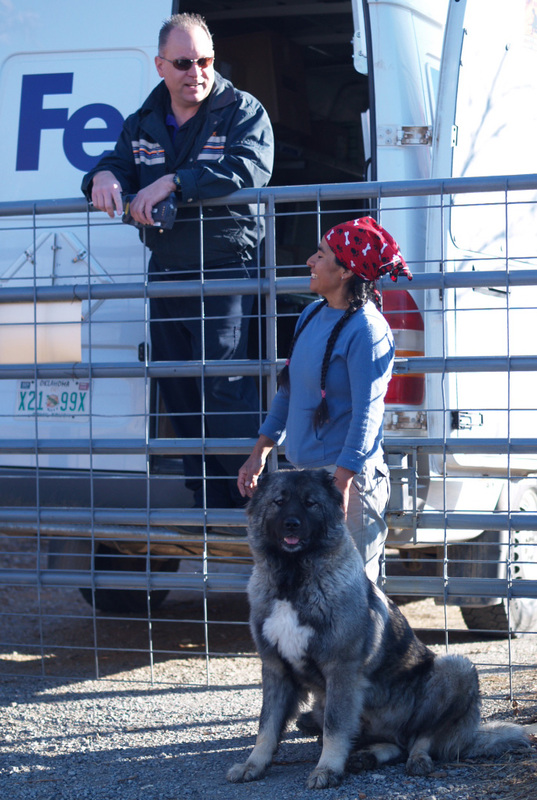 Tibet is a very confident dog so he’s usually comfortable in public and always maintains perfect judgment in every situation. 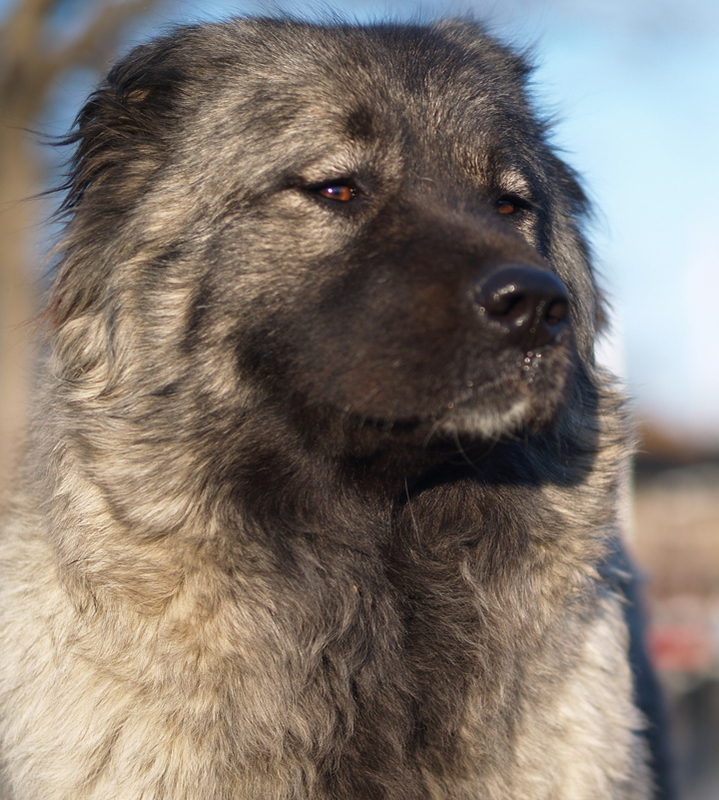 VERONKA is a pick female from St. Petersburg, Russia. 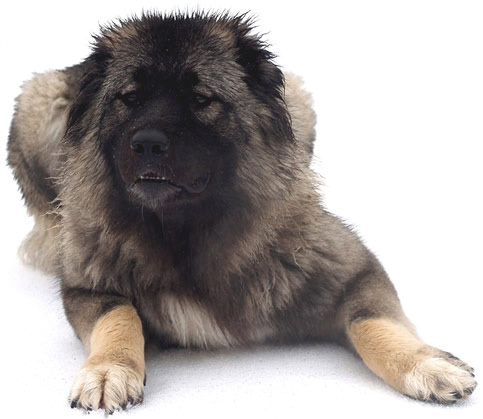 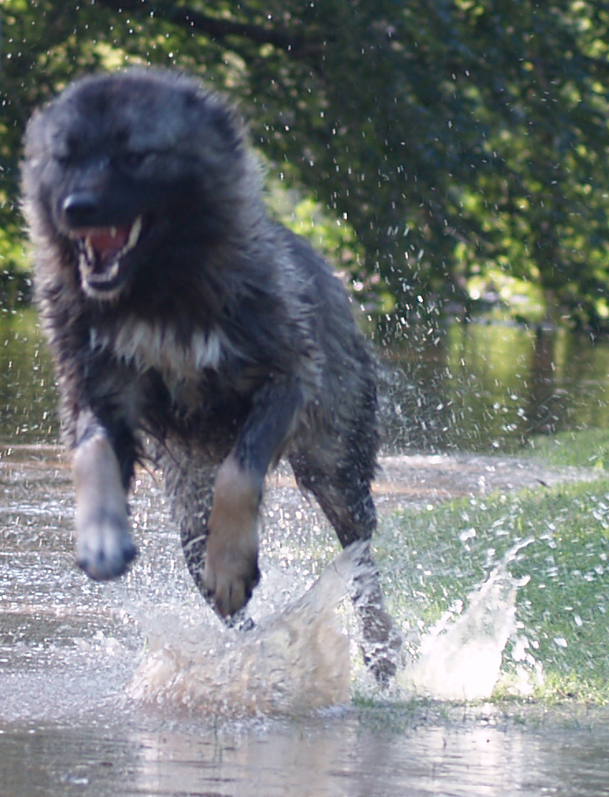 Sire: Мономах Цкаро, best stud dog in Russia 2004-05, Russian Champion, Grand Champion, National Club Champion, 2hPobeditel Club, RKF, RFSS. 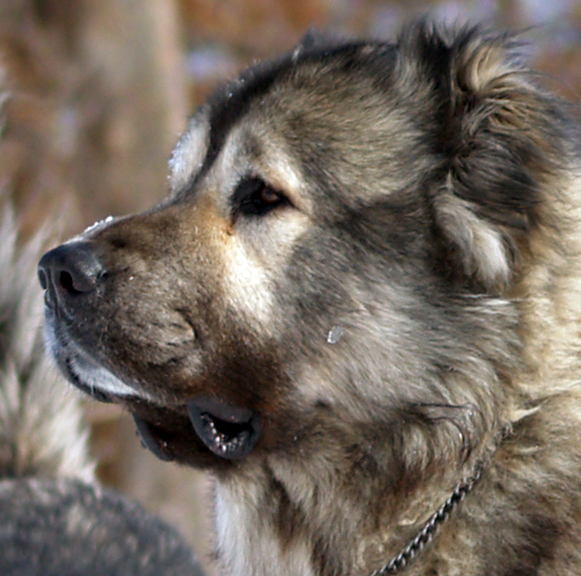 Dam: The beautiful Champion of Russia, Olburd VARVARA.